Lice Knowing You: Professional Hair Lice Removal Salons - Oregon & Washington. HOW MUCH WILL HAIR LICE REMOVAL TREATMENTS COST? REALITY: Hiring Lice Knowing You© to get rid of your head lice is cheaper than doing it yourself – really! Take the stress out of lice and visit a Lice Knowing You© Salon TODAY! Lice Removal Salons in Washington & Oregon, Near Me! The word LICE is enough to bring even the strongest person to their knees. 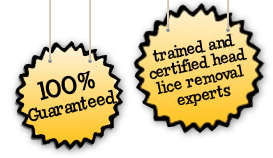 Lice Knowing You© is the most trusted, most respected and doctor recommended head lice removal services company in the Western region of the United States. We are your family’s one-stop shop dedicated to getting you and your family lice and nit free, naturally, in one treatment, guaranteed! Have a scratchy head? Come in for a head lice check. Need a lice removal treatment? Make an appointment at one of our state-of-the-art lice removal treatment centers or schedule a mobile appointment. Need some products? We’ve got you covered. Purchase any one of our all natural, organic and pesticide free Lice Knowing You products online or in one of our treatment centers. 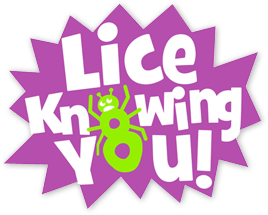 Regardless of where you live or your head lice situation, Lice Knowing You© will help you and your family pick a fight with lice…and win! My daughter’s school called to tell me she had lice, right in the middle of a major meeting with two executives. They were very understanding and let me leave to go pick her up right away. I called Lice Knowing You© on the way and they said to “come right over.” They got us in and out of there in just over an hour. She was able to go right back to school (they checked when we came back and found nothing) and I was able to go back to work. I just took my son for a head check with Janet at your Beaverton location, following the notification of some lice cases in his classroom at the private school he attends. I could not have been more impressed! Lice Free Yippee! This company literally saved my sanity. I had been dealing with head lice for more than 3 months on me and my 3 kids and I just couldn’t stand it one more minute. As a single mom, there was absolutely no one to help me and I just couldn’t miss another day of work and they couldn’t miss any more school. I called to make an appointment and they got my family in within one hour. My entire family was in and out of there in less than two hours and we never found another thing on our head. Thank you Approximately a month ago, my 4.5 year old daughter was diagnosed with head lice. Her school gave me an advertisement from The Lice Clinic, a company which uses a hairdryer-like device called the Lousebuster. After speaking with the owner of the Lice Clinic and being told that “it was the only FDA Approved treatment for lice,” I decided to use her service. Fast forward 1 month, I received a call from my daughter’s school yesterday and was told that she once again had lice all over her hair.